You’ve written the songs. You’ve designed and produced your album. your CD is ready for release. But … labels aren’t signing, agents aren’t booking, music stores are closing. How do I reach an audience with my music? FACT: RADIO WORKS and the majority of DJs still prefer getting your music as a hi-res CD verses a low res MP3. Digital delivery often clutters up a DJs inbox and the chances of them opening/downloading/reviewing/saving/filing and then playing your track is slim to none. “Most stations prefer physical CDs to digital copies, and full length CDs. Don’t bother sending a full press kit.” Eric Wolff KCSB FM community radio Santa Barbara, CA. SUBMISSION AND REVIEW is FREE to all artists and labels. Are you having trouble getting your music heard? 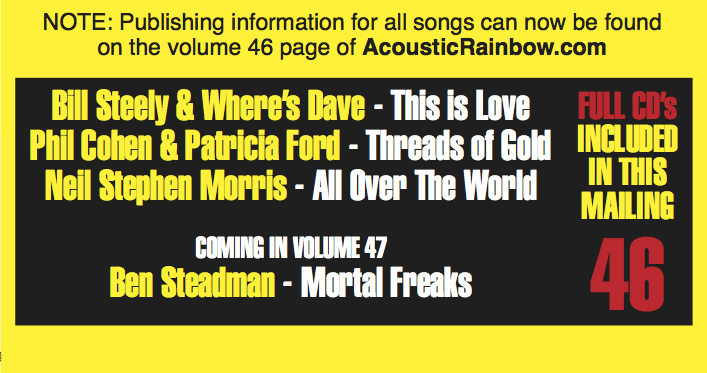 Having trouble finding the stations and DJs who play independent acoustic music? Overwhelmed by the cost of sending your package to a station just to have it pile up on a music director’s desk? Now you can release an “acoustic single” from your CD worldwide on a professional music director’s service, plus get a complete tracking report of the airplay. The Acoustic Rainbow Radio Sampler not only help get you a tremendous amount of extra airplay and exposure (think of the hundreds of radio shows that DON’T report to the trades! ), but it can also save you a huge amount of money in the process. FULL CD SERVICING to radio is also available at amazing cost saving. DON’T TRY THIS ON YOUR OWN … it is way too expensive. 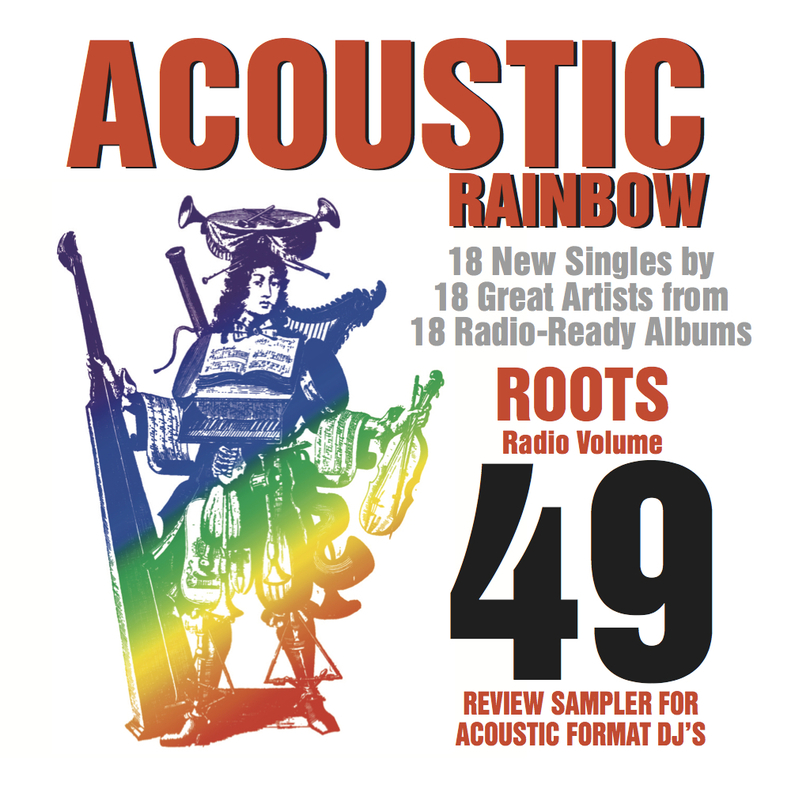 The Acoustic Rainbow send your entire album on CD to radio at a fraction of the cost because of our co-op arrangement. The service includes a) your single, b) plus an advertising panel on the AR Sampler jacket, c) followed by the full CD servicing of your new album the the entire worldwide radio list. 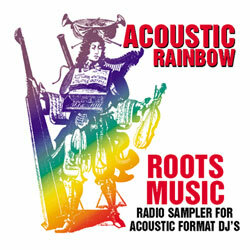 Save on the huge costs of sending your CD to roots radio. We can help, call us with any questions: 859-255-5700 M-F, 10-5PM EST!